In the last match, Dolphins needed 7 runs off the last ball and Maharaj hit a six but couldn’t take his team to the winning side. This was a small highlight of the last match. I know you are here to know about Today’s Cricket Match Prediction of Dolphins vs Lions(23rd Match) so you can enjoy the benefits of Dream11 Fantasy Cricket and similar Leagues. So Here’ Deal, get all tips and tricks for free……. Match: DOL vs LIONS, 23rd Match, CSA T20 Challenge, 2017. Last three matches played in this stadium was washed out due to rain. Let’s hope for the best for this match between DOL and HL. The pitch of Kingsmead is good for both spin bowlers and Seamers. 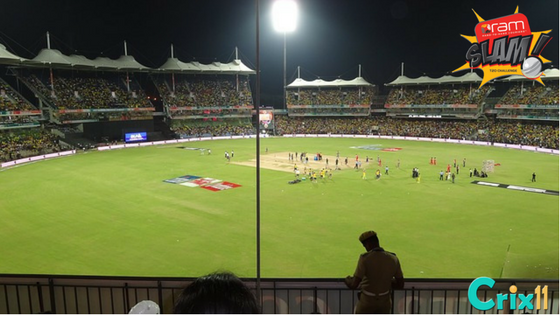 Last International T20 match was played between Australia and South Africa the score was 158/7. This pitch is more of a bowling friendly. So the expert of crix11 will advise choosing more Bowlers in your Dream11 team. You don’t have to worry about the team as we will help you to choose the best team for the fantasy league. We will show you details of the selection process so that you can win 100% for sure. Mangaliso Mosehle has scored 80 runs in 5 matches he played in this RamSlam T20 Challenge series. His Score was 0, 55, 0, 22 and 3. At the initial stage of the tournament, he batted 3rd down but at the later stage his position was change and he batted at late order.Mosehle is a good choice if you are making multiple teams. Dane Vilas has scored 46 runs in 3 matches most of the matches were washed out of Dolphins due to rain. His scores were 32, 11, and 3. The reason behind choosing Vilas in Dream11 team 1 is because he bats at the upper order and he has more chances of scoring. Note: You can choose anyone from the above wicketkeepers. Reeza Hendricks is one of the most dangerous players of RamSlam T20 challenge 2017-2018. He has scored 319 runs in 5 matches. His scored 67, 42, 102, 27, and 81 in his last 5 matches.According to Dream11, he is selected by 94% of the teams.He is best option to choose as a captain. Rassie van der Dussen is also a very important player as he opens for Lions and has scored 189 runs in last 5 matches. He scored 0, 12, 57, 51 and 45 in this tournament.He is a good choice for Vice-Captain. Almost 89% of teams have selected him. Sarel Erwee has scored 119 runs in 4 matches. He scored 103, 2, 6 and 8 in his last 4 matches. Erwee was selected by almost 54% of the teams. Morne van Wyk has scored 119 runs in 4 matches. He scored 19, 42, 1, and 57 in his last 4 matches.He opens for Dolphins and is a dangerous player. Almost 80% of the teams have selected Van Wyk. he is an attacking batsman. In T20 his strike rate is almost 144. Khaya Zondo has scored 76 runs in 3 matches. He scored 67, 1 and 8 in his last 3 matches. Zondo is a right-handed batsman. He bowls right arm off break. He was selected by almost 53% of the teams. Robert Frylinck has scored 47 runs and took 5 wickets in 3 matches. Frylinck is bowling all-rounder and is a right-handed batsman. He is selected by almost 82% of the teams in Dream11. He is an explosive all-rounder. He can be a perfect choice for a Captain or Vice- Captain. Willem Mulder has scored 8 runs and took 6 wickets in 5 matches. He is a bowling all-rounder and is a right-handed batsman. He is a young talent of South Africa Cricket Team. He is selected by almost 60% of the teams in Dream11. Andile Phehlukwayo has scored 14 runs and took 3 wickets in 4 matches. He is a bowling all-rounder and is a left-handed batsman. His strike rate is almost 120 in T20. He is selected by almost 44% of teams. Note: Select from above three all-rounders. Kagiso Rabada took 8 wickets in last 5 matches. Aaron Phangiso took 6 wickets in last 5 matches. Keshav Maharaj has scored 23 runs and took 3 wickets in last 4 matches. Mthokozisi Shezi took 4 wickets in last 3 matches. Imran Tahir is one of the most dangerous players of South Africa team. Although he took only 2 wickets in last 3 matches but everyone knows his potential. Note: Select bowlers from the above list for your Dream11 Fantasy Cricket League. Crix11 experts says Lions will win the match.HL team has better batsman and better bowlers as compared to DOL but If we see the point table both teams have 12 points each but Dolphins are behind in rankings as their run rate is less as compared to Lions. If we see astrology prediction of toss it says Dolphins will win the toss and they will decide to bat first. 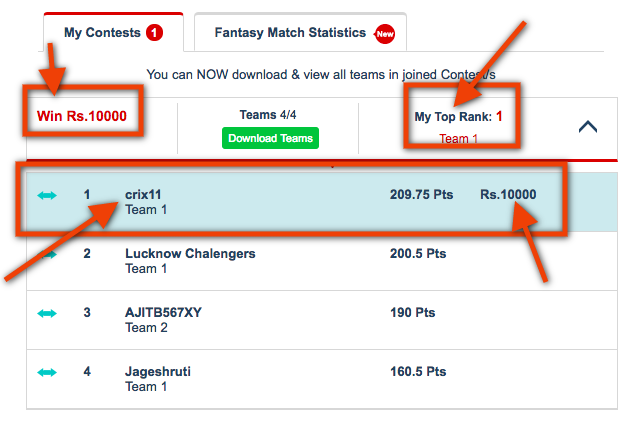 Conclusion: So finally you can select best team for Dream11 Fantasy League between DOL Vs HL(23rd match). If you want to know more about Today’s cricket match prediction and who will win, you can comment in the comment section.This is most detailed research on Playing11 .This is our view on the above match. What’s your view give your expert opinion in the comment box. Wow Thanks for your detailed post….. I won a grand league last time. Thanks slot.